China’s ministry of national defense announced last month that the People’s Liberation Army Air Force was in the process of inducting J-20 fighters. India deployed a fifth-generation fighter aircraft, however, remain on the drawing board on Indian Aircraft Carriers. China’s new J-20 fighter jet is not stealthy enough and the Indian Air Force (IAF) has the capability to tackle the threat posed by it, said a senior air force officer familiar with Beijing’s military modernisation plans. “I will go with the IAF’s assessment that India can tackle the J-20 threat,” said Air Marshal KK Nohwar (retd), additional director general of the Delhi-based Centre for Air Power Studies and a former IAF vice chief. “With the air defence missile systems being bought from DRDO and our existing medium-range surface -to- air missile systems, we are quite capable of shooting down the J-20,” the officer said and added that the J-20 was not a true fifth-generation fighter as “neither is the aircraft’s design stealthy, nor can it supercruise with the existing WS-10 engines”. As reported by HT on March 17, Joint Russian/Chinese multi-billion dollar programme to produce a stealth fighter is in peril, with the IAF voicing its reservations as it believes the platform lacks the desired stealth characteristics and is inferior to the US-made F-35 and F-22 jets. Iran and Syria is in talks with Russia to buy five advanced S-400 missile systems, capable of destroying jets, missiles and unmanned aerial vehicles (UAVs). At present, the central government is finding it hard to reconcile two contrary points of view on FGFA . While the IAF wants the project abandoned, a high-powered panel appointed by the defence ministry to examine different aspects of the FGFA , recommended in its report last year that India should go ahead with the programme. So they say the J-20 is not a stealth plane? Egyptian Air Force F-16 was shot down by S-400 over Syrian Skies, Egyptian Pilots were aware that they were going on one way mission , 4 Egyptian Air Force F-16 gone on the mission , 3 Egyptian Air Force F-16 returned back safely and 1 Egyptian Air Force F-16 was shot down which is according to Egyptian and Saudi Military Intelligence. Can J-20 even be compare with F-16's ? What about the spares of J-20 ? I have said many times that J20 is not a 5th generation plane. Its quality can be judged from the fact that its designer was sacked. J 20 has no ingradient of 5th generation plane. Any links or other evidence to back your claims? I don't think they even need j-20 against india.they already have j-10 in large numbers.j-20 is not tested in war like situation.it is forward stealth and long range fighter.it can be used against indian Navy rather than bombing on air bases. ItsI is neither stealth nor has any stuff of fifth generation fighter. The Air Marshal is referring to the SAMs we are buying, not competing fighter aircraft. He makes particular veiled mention of the Barak-8. And the J-20 can be defeated because the current version is not complete. It still requires a lot of work, especially a new engine. The new engine is required for supercruise and TVC not so much for stealth. A majority of stealth factor comes from reducing the RCS through the shaping of the aircraft, composites, and RAM coatings...on that front J20 isn't pending any upgrades like in the case of its engines. So it doesn't matter if India has Barak 8 or not, the only thing that matters when it comes to stealth is u have to be able to detect the aircraft on radar(ground/AWACS/etc) in order to be able to engage it. can the indian airforce tackle its own incompetence ? In my professional opinion one Tejas can take on at least two J 20s by itself easy. One rafale can take 4 J 20, and one MKI can take at least 20 J 20 with no problems. Not to mention sacred cows which by themselves can destroy whole China in one go. Even chinese have s400 so they must be aware of it's strengths. Also S400 has a limited range leaving lot of room for Chinese jets to cross borders. Against stealth fighter only a stealth fighter can be a deterrent. What IAF gonna shoot J20 with? Bows and arrows?? feel good post . J-20 is an overdose for india & they knows it . indians have a habbit of portraying " all is well" ( what they did in Doklam incident) but when the reality strikes they start begging for peace and bilateral trade etc ( which happen after they find out masive Chinese presence at Doklam). A new engine is required for stealth. The current engines are not stealthy. And without the engine having stealth designed into it, the aircraft will be highly flawed. The Barak-8's radars will be able to detect the J-20 in current conditions because the aircraft is still a WIP. The aircraft doesn't become flawed just bcuz u say so...what aspect of the engines "non stealth" are u talking about? It's nozzles? That's about the only part of the engine that's exposed bcuz reportedly J20 already has S ducts...in which case that's a rather minor factor bcuz again the MAJORITY of the reduction in RCS(and hence stealth) is achieved through shaping, composites, and RAM coatings. Adding stealth nozzles would make an already stealthy J20 more stealthy. So unless u have some evidence/facts to present about how J20 is somehow not stealthy as a whole platform...do share. Otherwise have the decency to say that these are just ur own hollow claims. Shaping the nozzles only reduces edge diffraction, which is not the biggest source of returns from engines. Engines are a huge source of returns due to cavity resonance. The insides of the engine have to be designed for stealth using blockers and other devices. The engine requires IR treatment from the ground up. None of these have been done on the WS-10 class of engines. The airframe itself may be stealthy, so the aircraft will have low RCS from some angles, but the engines themselves have to be changed if it is to become a proper stealth aircraft. Having partial stealth is good enough for an aerial fight, since you are exposing only your low RCS side to the adversary, and IAF aircraft are yet to be modernized, but when it comes to SAMs, you need all aspect stealth. The Barak-8's radars are way too advanced to be defeated by half-assing stealth on a fighter. Read up on S ducts before u start throwing in words like cavity resonance. The very purpose of s ducts is to hide away the engine from radar. This only leaves the nozzles as the non stealthy part of the aircraft which u just admitted urself..."isn't the biggest source of return"
How does IR signature of the aircraft help ur radar detect it? So you are saying 5th gen engines are unnecessary. Air defences also have IR detectors. Where did I say that? Don't put words in my mouth. Of course the new engines are needed for more thrust, thrust vectoring, and stealthier nozzles. "And the J-20 can be defeated because the current version is not complete. It still requires a lot of work, especially a new engine." So again u have been unable to provide solid proof backing up ur argument about how without those new engines the J20 can be defeated as if the rest of its stealth factors somehow don't matter. was hoping indian news would reveal "India recently acquired top secret alien ufo technology"
Come on people, you missed the most important bit in the article . We been hearing round the clock non sense from Indians about their acquisition of s400 will make PAF redundant. It will be funny if it's Pakistan which acquire it before India. what kind of stupid air force is this ? You haven't understood. Just like how untreated inlets are bad for an aircraft's stealth, an untreated engine is also bad due to the same reason. It's a big hollow cylinder that shoots all the radar signals back to its source. The WS-10 is not a 5th gen stealth engine. Nozzles have nothing to do with it. 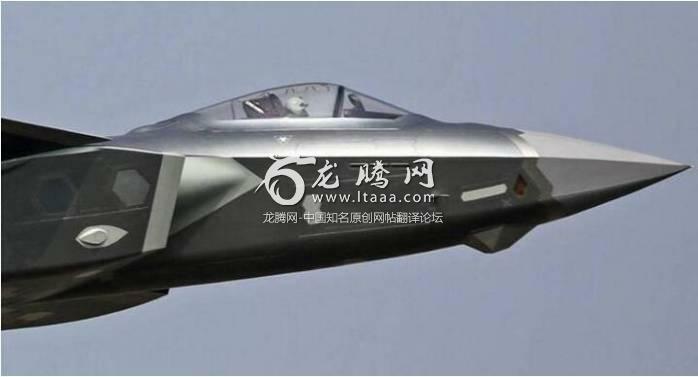 The J-20 is not all aspect stealth yet. Yes they do...there is such a thing as stealthy nozzle and non stealthy one. In fact that's the only thing u can use here with ur argument about J20's engines being non stealthy...if it wasn't for the J20 engine nozzles being non stealthy, ur argument would have no leg to stand on. Yes...like I already mentioned the nozzles. That would make the rear aspect slightly less stealthier as opposed to the sides and frontal aspect. In any case the overall aircraft is still STEALTHY. How are the SU 35 doing which the Chinese bought recently from russia. They claim they have better air defence systems but they buy S-400. What do you expect them to say? Say "we cannot"? What benefit would they get from saying that? Indians, this is why I've been telling you guys to stop drinking what you've been drinking. It's totally delusional. It's unhealthy! These are just feel good statements meant to cheer a passive minded crowd. How on Earth did the IAF know the RCS of J-20? Unless they have access to some classified info on the plane, they shouldnt fool themselves and their people with hollow claims. Like it or not, the J-20 is a stealth plane that is for the most part a mystery for its nemesis. The RCS is NOT known, neither are other features, the radar, EW, everything is a mystery. In the absence of such crucial data, this claim is simply bogus. A nation could not develop a 4th generation LCA to be accepted by their own airforce is passing judgement on other nations 5th generation fighter is hilarious. IAF does not even possess a 5th generation fighter and yet make tall claims about other possessing inferior 5th stealth planes. If i may ask What experience does IAF possess which qualifies it to pass on such judgement?